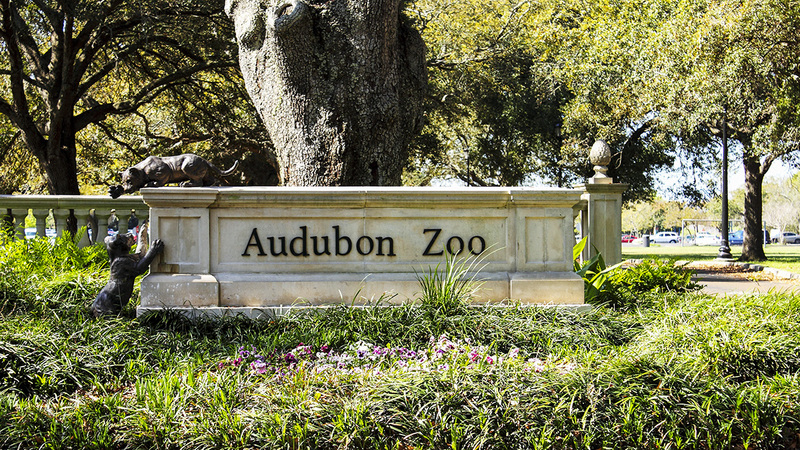 Located within Audubon Park in Uptown New Orleans, the zoo covers approximately 58 acres and houses more than 2,000 animals. 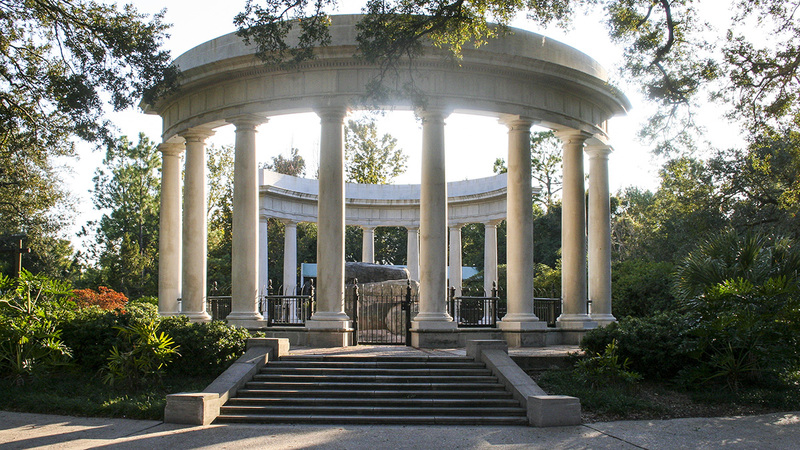 Both the zoo and the park are named after John James Audubon, a French-American naturalist who moved to New Orleans in the 1820s. Exotic animals have been housed on the site of Aububon Park since the 1884 World’s Industrial and Cotton Centennial Exposition. 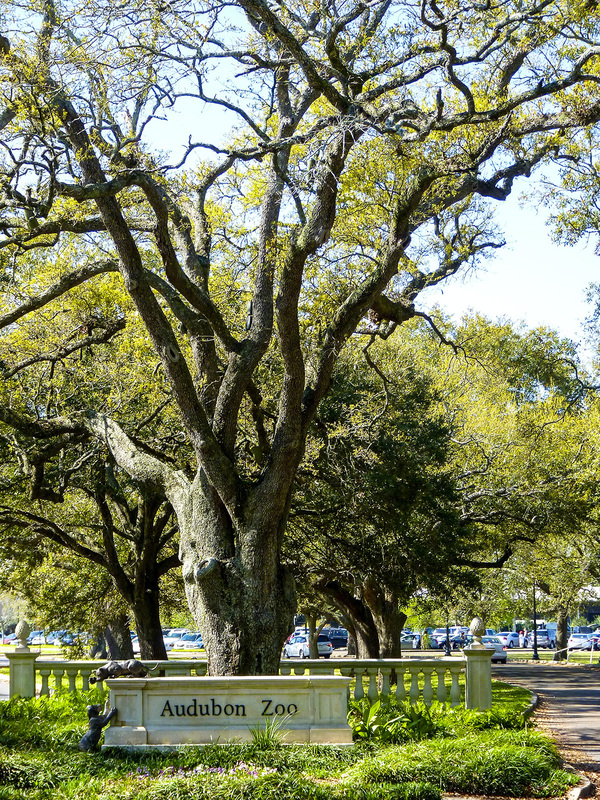 Funds for a proper zoological gardens were raised by the New Orleans Zoological Society beginning in 1919, and a fourteen-acre site south of Magazine Street was chosen. In the 1930s a renovation and expansion of the zoological park was funded by the Works Progress Administration. A new site on the park’s southwestern border was chosen, and the original site was dismantled and reverted to parkland. Landscape architect James Dawson, with the Olmsted Brothers firm, designed the master plan in conjunction with architect and park commissioner Moise Goldstein. Dawson promoted bar-less cages separated from the public by ha-has. The new Merz Memorial Zoo, named in honor of its local benefactor Valentine Merz, was opened to the public in 1938. By the 1950s, the zoo had begun to deteriorate. 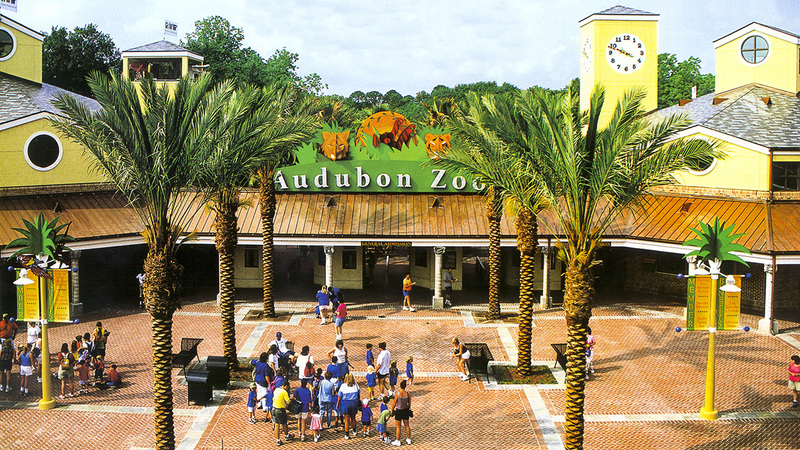 In 1973 Ron Forman, the City Hall Liaison for Audubon Park, envisioned a new park plan that provided the animals with expansive natural habitats that reflected their native environments and expanded the zoo to its current size. Also added at this time were a Children’s Zoo and a primate exhibit. The landscape architecture firm Cashio Cochran further renovated some of the exhibitions in 1981, the year that the zoo received accreditation from the American Zoo and Aquarium Association. The present site is thickly treed and features two large lagoons, as well as a 1920s-era sea lion pool.